Because of the enormous distances between the island nations that comprise the Southwest Pacific and its major neighbours, New Zealand and Australia, achieving recognition in this extensive marketplace requires a high-level of performance. 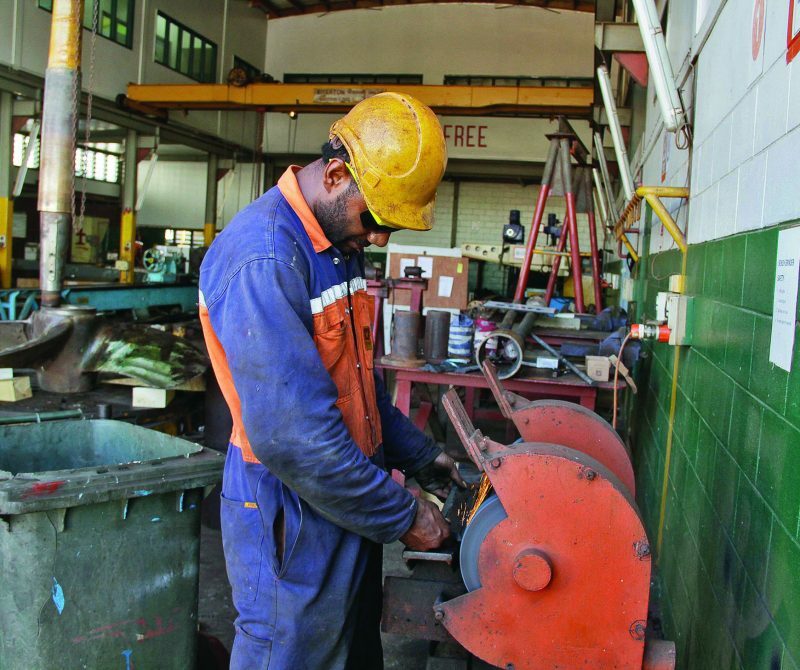 Through exceeding customers’ expectations and maintaining the requisite performance levels to match, Fiji Ships & Heavy Industries has built a solid foundation over the years as one of the region’s leading ship repair companies, providing ship repair and maintenance to the region for more than 50 years. FSHIL is a subsidiary company of Fiji Ports Corporation Ltd and operates as a self-funded, commercial company. In the 1960’s the Fiji Government established the shipyard and slipway facilities at Walu Bay. In 1996, a new joint venture agreement with New Zealand-based MCI saw the Government diversify the shipyard operations, under the name, Shipbuilding Fiji Ltd. Strategically located in Walu Bay, adjacent to the International Port of Entry in Suva, in Fiji’s capital city, this central location within the region has been a major benefit, to both ship owners and international shipping agencies, as well as to surrounding island nations. 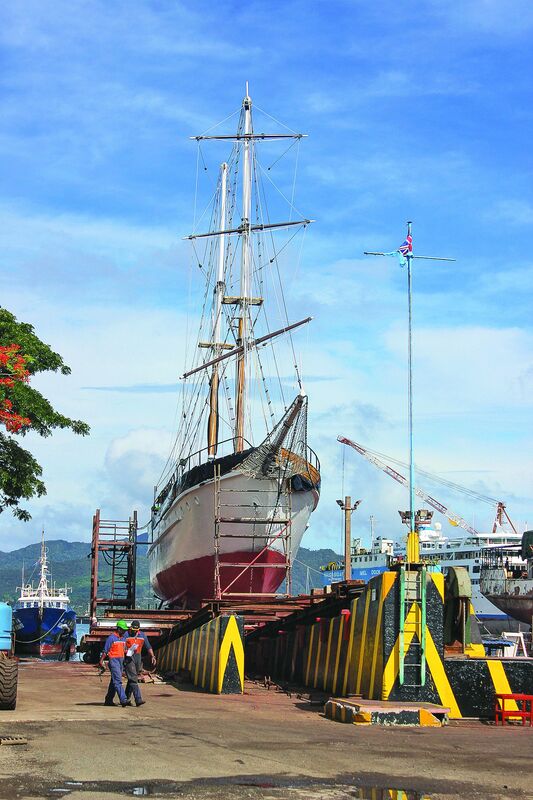 Our clients include owners of Fiji-based and owned vessels. They are also drawn from our Pacific Island neighbours, such as Solomon Islands, Tonga, Tuvalu, Nauru, Kiribati, Marshall Islands and Vanuatu, and have also included some American registered fishing vessels. Our close proximity to much of the region’s shipping continues to offer distinct operational and financial advantages. Because of its unique location, FSHIL is regularly commissioned to service international fishing vessels, inter-regional ferries, barges, tourism craft, Governments’ inter-island fleets, and Pacific regional patrol boats. 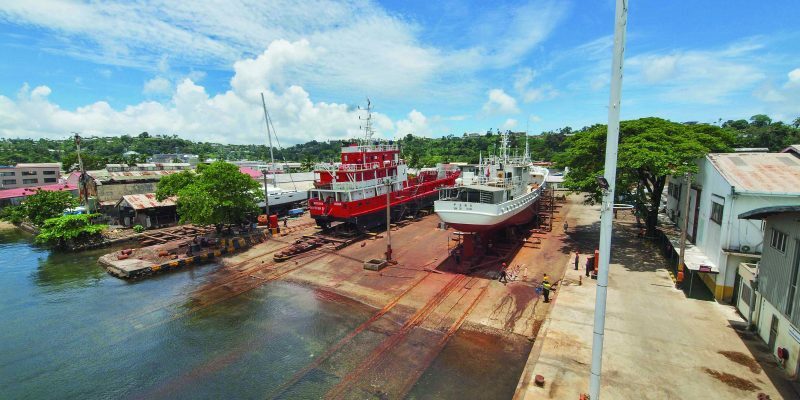 The successful negotiation by Government transferring the slipway and shipyard assets to Fiji Shipbuilding Corporation Ltd, a commercial, Government–owned company, took place in 2001. 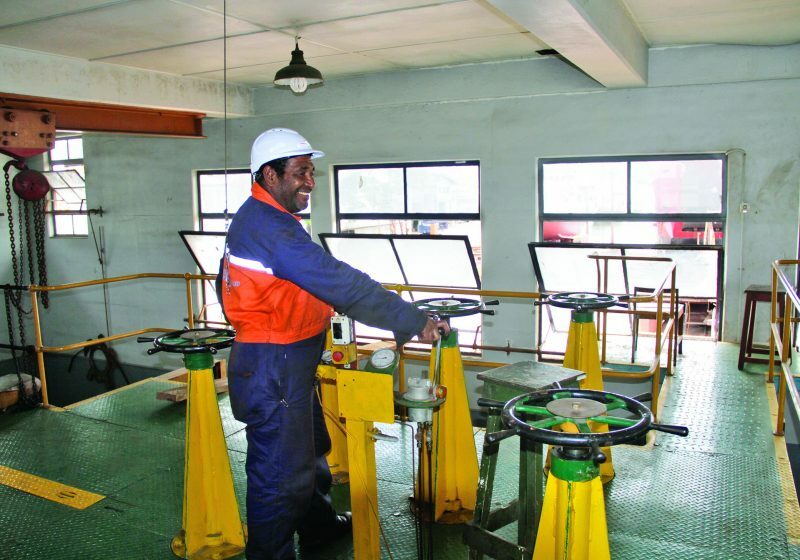 By 2003, under the current company name, Fiji Ships & Heavy Industries Ltd, the company had diversified into heavy engineering and construction works. 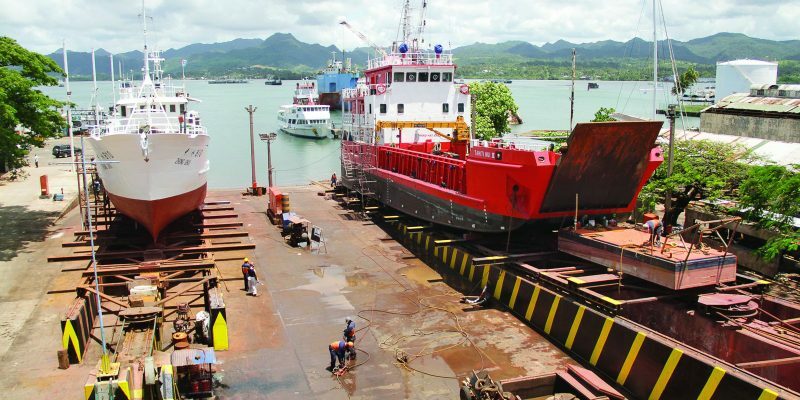 Then, in June 2009, Fiji Ports Corporation Ltd (FPCL) acquired 100% ownership of FSHIL, assisting with the refurbishment of the company’s slipways by providing a loan agreement. In 2016, FSHIL received ISO 9001: 2008 accreditation. In 2017, FSHIL completed the steps, necessary before 2018, to qualify for ISO 9001: 2015 certification. In 2017, FSHIL rebranded, launching a new logo designed to reflect the company’s efficiency in a seagoing environment. The logo of triple hulls cutting through the ocean suggests a substantial business, capable of handling multiple vessels in its shipyards. Apart from the strategic geographic benefits we are able to offer our customers, FSHIL also provides the additional advantages of stability, capacity, capability, and most importantly, affordability. FSHIL is located close to the Port of Suva, which is ISPS (International Ship and Port Facility Security Code). International and regional air links are only a 30minute drive away at the Nausori International Airport, and Fiji’s infrastructure ensures reliable access to roads, electricity, water, telecommunications and high-speed internet, as well as financial services. Our core function includes: the slipping of marine vessels, carrying out ship repairs and maintenance, and heavy industrial and engineering works. FSHIL accommodates emergency calls from ship operators, through the Maritime Safety Authority of Fiji (MSAF) as part of our role under the International Martime Organization (IMO) code. 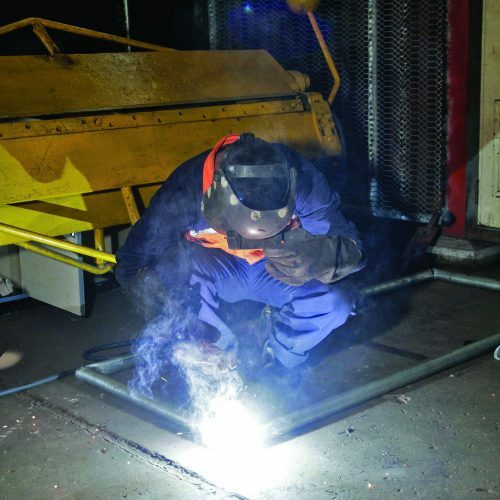 Our full range of services include refits and conversions, maintenance, overhauls and ship repairs, with specialised crafts such as welding, industrial painting, pipefitting, ship fitting, electrical work, sandblasting, carpentry and rigging. We also offer shipbuilding capabilities. 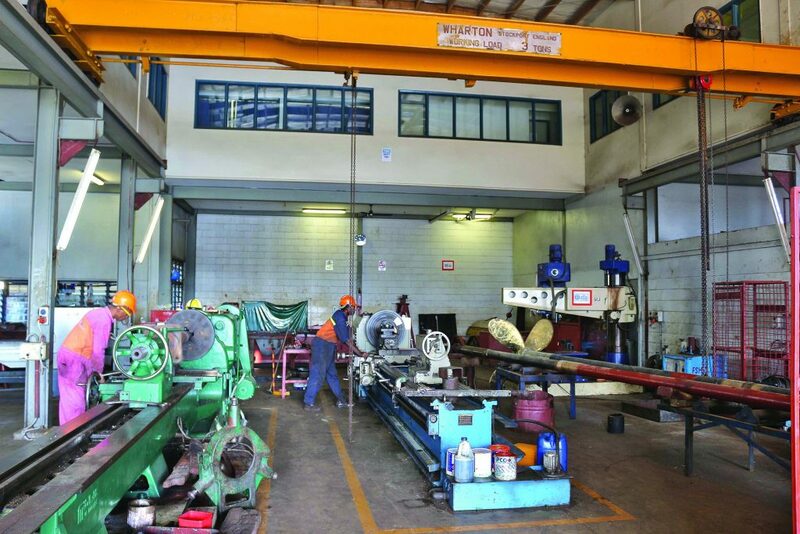 All of these facilities are supported by FSHIL’s extensive engineering and construction capacity, housed in the company’s well-appointed workshops. FSHIL adheres to the International Association of Classification Societies (IACS) standards. This professional, Accredited Certification Body, of which Fiji is a member country, complies with ISO-IEC 17021: 2006 for Ship Repair & Refit. At FSHIL we also undertake steel, engineering, electrical timber and technical works and our workforce includes experienced master shipwrights, skilled in the art of shipbuilding. Our capacity for steel fabrication up to 300 tonnes has made it possible for FSHIL to design multipurpose, roll-on-roll off, steel-hulled vessels, specifically for inter-island transport and trading. Our design includes a bulbous bow, factoring in the need for vessels to be able to navigate through the often-narrow passageways, found in the coral reefs that encircle many islands in the Pacific’s waters. Our skilled tradesmen are recognised for their skills, having fabricated the 40 tonne steel bridge box-girder, casting mould that was used in the pouring of the concrete support piles on the Rewa Bridge construction, beginning in 2003 and completed in 2006. 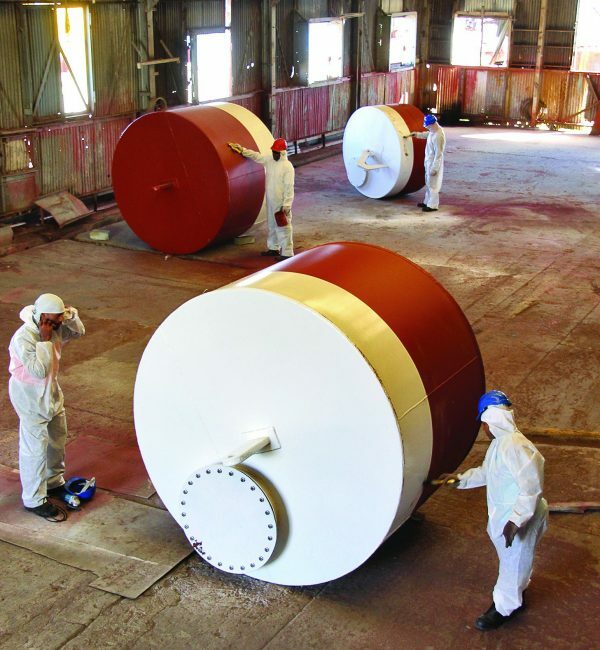 FSHIL undertakes projects, such as the manufacture of steel fuel tanks for a variety of clients and, more recently, the fabrication of mooring buoys for Suva Harbour, capable of holding 30 to 50t tonne vessels. As well as general pipe-work, this includes machining and turning stern gear servicing; the installation and repair of deck machinery, and valve and pump repairs. This includes steel and aluminum ship construction and ship repairs, industrial structural fabrication and heavy machinery welding. 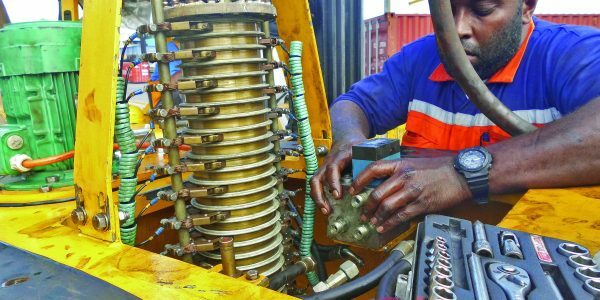 This includes marine electrical services; industrial electrical services; the servicing and repair of electrical generators and motors and auto electrical services, including marine, industrial and heavy mobiles, and the rewinding of generators and motors. This includes ship repair outfitting, wooden boat building, machining and installation of timber decking, marine and industrial painting, fibreglassing, sandblasting, building construction, office renovations and furniture making. 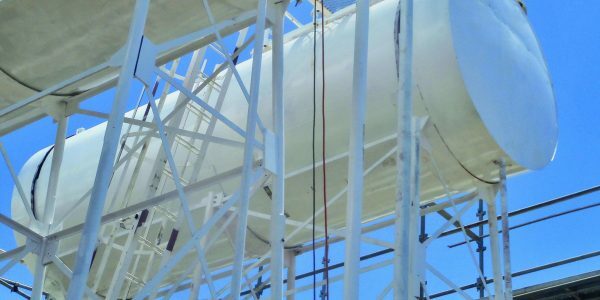 This includes ship designing, ship calculations, conducting of inclining experiments, compiling of stability data and hull ultrasonic thickness gauging and general estimating. We accept payment for new ship building in four installments of the contract price. We also manufacture two sizes of fiberglass boats using the WR 23D and 23SR hull designs, with the internal structure redesigned, meeting MSAF compliance and approval. All FSHIL fiberglass boats are fitted with grabbers in case of capsizing and come equipped with Safety of Life at Sea compliant kits of oars, and rowlocks, flares, life jackets and a first aid kit. At FSHIL, we are committed to meeting our customers’ needs and we strive to maintain a business culture that is customer-focused. Our reputation as a trusted name in the Pacific has been built on the pride we take in on-time delivery and our consistent track record of reliability. Our business and the livelihoods of our team depend upon the continued health of the marine environment. In our drive to become a ‘greener and cleaner’ business, FSHIL has installed a water recycling system that captures, filters and recycles the water used in operating the company’s 40Kpsi water blaster. 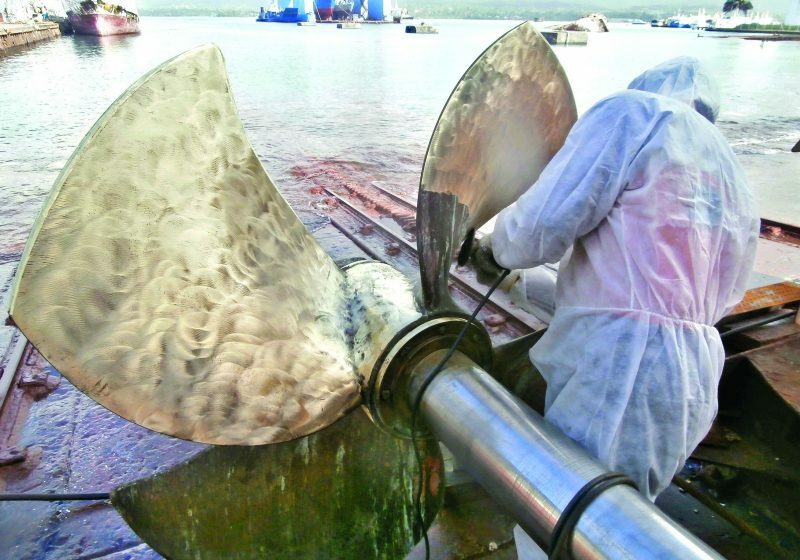 The process means that FSHIL is not discharging paint or chemical-laden water into the surrounding marine environment. Our dedicated workforce follows a 24 hour, six-day-a-week, work schedule. FSHIL is committed to acquiring, retaining and developing the right people with the right skills, and prides itself on having a stable, professional and well-qualified workforce. We believe in empowering our people by investing in their development, and support our people in attaining academic and practical tertiary professional qualifications from local and overseas educational institutions. Here at FSHIL, we are also committed to strengthening the industry within the region. We provide practical work experience attachments to students from neighbouring Pacific Island nations who are studying for maritime-related trade qualifications at tertiary institutions in Fiji. The exposure and skills gained through this initiative benefit FSHIL, Fiji and the region. FSHIL supports worthy causes within the wider community, often in partnership with our parent company, FPCL. These efforts include fundraising and distribution of materials for cyclone relief, or for families who have lost their homes to fire, supporting children’s homes such as St Christopher’s and Dilkusha, and fundraising for the annual Pinktober cancer awareness initiative.